If you wish to avoid emergency repairs while keeping your home in tip-top shape, you have to make sure that your home projects for each season are tackled. Simple maintenance tasks such as checking the plumbing system for any leaks can go a long way toward avoiding unexpected costly repairs. – During Spring, make sure you check your faucets and drains to avoid leaks and clogs. 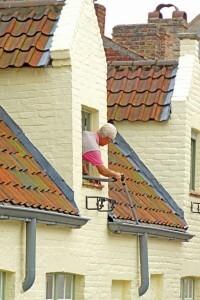 – In the summer, touch up your home’s exterior by painting your walls and checking it for damage. – During the fall, make sure to check your downspouts and gutters for any sign of damage.